Should You Rotate To Cash? David Blain was recently contacted by a client who asked about reallocating their portfolio to 30 percent cash given recent volatility. Following is David’s response. Regarding rotating to cash, I probably could have designed backward-looking strategies that would have successfully protected value by rotating to cash. However, the returns would likely have failed to best or equal a more disciplined rebalancing strategy during the subsequent recovery (or even going into the next decline). The markets are just too volatile and unpredictable to design a reliable system to rotate back and forth over a full cycle. Your investment policy/strategy is a long-term one, with an 80 percent equity allocation. 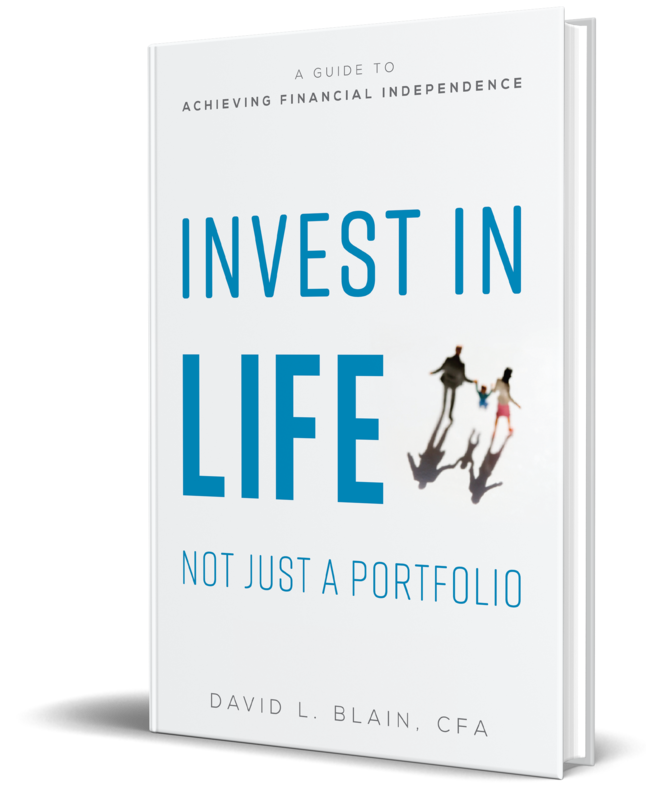 This type of portfolio is not designed to take money out for spending or other needs, but rather a way to grow your savings in the long-term (15+ years). I also have to reiterate that investing in public stocks and bonds, like we do in your portfolio, is not a way to "make money." It’s a way to grow your savings. Over the next 10 years or so, my best estimate is that stocks will return between 5 and 7 percent, and bonds between 2 and 4 percent. However, all that gain may come in one or two years, or it may come in year 10, we just don't know. We do know that 40 percent of the time stocks are in "bear" markets. That is the price you pay for a long-term return that’s greater than inflation and the bond market. If you are uncomfortable with declines, we’ll need to be way more conservative. The portfolio that you have is expected to decline by 30-40 percent from peak to trough in the worst bear markets, like 2007-2009, but it also tends to recover nicely having made a full recovery by 2010. If this type of decline is not acceptable in terms of meeting your risk tolerance, then we should adjust your allocation, preferably after some sort of recovery. High quality bonds like you have in your portfolio are holding up, and in fact, have been going up nicely. In my opinion, the best way to deal with a market like this is to make sure you have the right strategic mix of assets (stocks vs. bonds) and then conduct disciplined rebalancing, or add more cash if you're still accumulating. The bottom line is that moving in and out of cash is not a long-term strategy, but if this is too much volatility for you, we need to adjust the portfolio. It’s important to remember that, if the markets start to move back up, you can't change back to a more aggressive portfolio. That’s where people get in trouble. By switching strategies, they end up selling low and buying high.